Five years ago today, the men and women of American Eagle Airlines embarked on a new chapter in the company’s history, embracing a new name – Envoy. At the time, American had just completed its merger with US Airways and the regional network was undergoing significant change. Fast forward to today, and we’ve not only embraced our new identity, we’re celebrating five years of growth and looking forward to even greater success in the future. Over the last five years, Envoy has enjoyed a growing fleet, currently taking delivery of 20 new Embraer 175 aircraft this year and 15 next year – for a total of 84 new E175 aircraft by May 2020. These large, two-class jets are the future of the American Eagle fleet, and Envoy is currently American’s largest regional operator. Already operating more than 1,000 flights a day, Envoy will play a major role in American’s upcoming expansion at Dallas/Fort Worth International Airport, the carrier’s largest hub. We’re hiring across all workgroups to support this growth – and expect to reach 18,000 employees by year end. 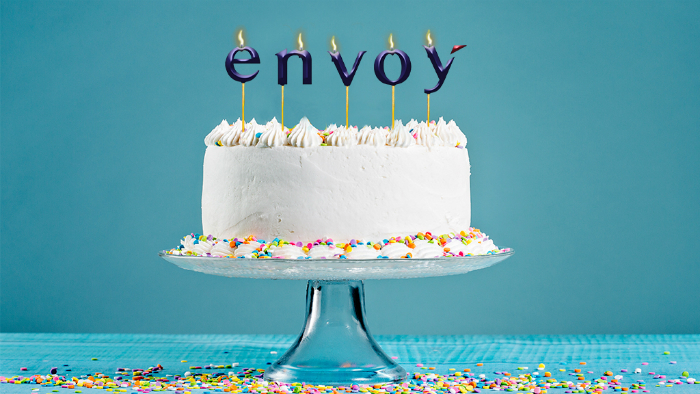 Want to be part of the growing Envoy team? Click to apply!